One thing common about almost all recipes for Irish Soda Bread is the use of buttermilk. The problem is that you are left with half a quart of buttermilk., which I consider undrinkable. I can’t stand wasting food, so I started a search for Irish Soda Break without buttermilk. I am happy to say that I did find one using sour cream by Martha Stewart. I made a few changes to the recipe. I hope you like it. 1.5 Tablespoons of canola oil. -Preheat over to 350 degrees. Spray bottom and sides of a 9×5 inch loaf pan with vegetable spray oil, and sprinkles half of oat meal on the bottom of the pan. -Mix the dry ingredient together (not including the remaining oat meal) in a large bowl. -In another bowl mix the wet ingredients. -Fold the wet ingredients into the dry ingredients so that it is combined well. Do not over mix. 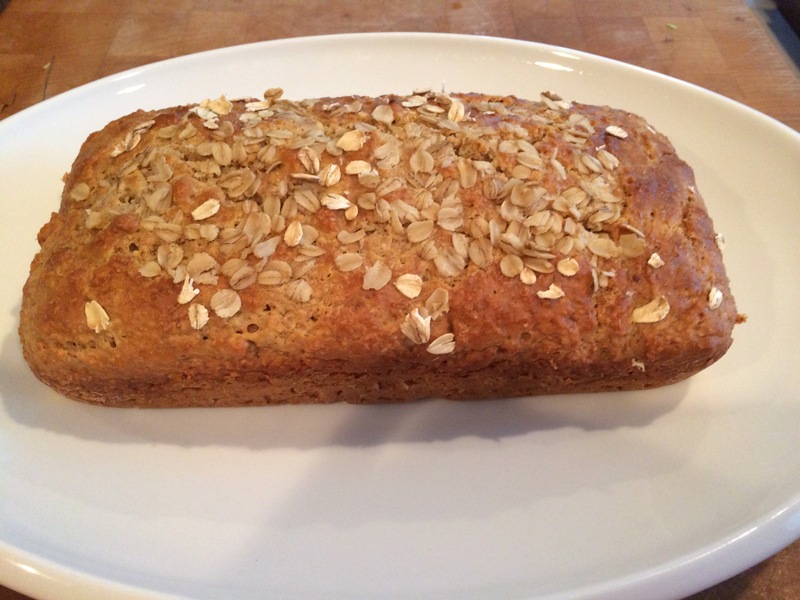 -Spread the mixture into the loaf pan and sprinkle the remaining oat meal on top. If you wish, you can add small pieces of butter on top. -Bake in middle of 350 oven for 35 minutes. Toothpick inserted should come out clean. Cool in pan before attempting to remove the bread. Note: Since this is not a yeast bread, don’t expect it to raise very much. This entry was posted in Recipes of the World.